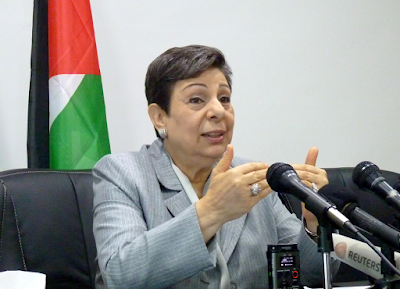 Hanan Mikha’il Ashrawi is a prominent Palestinian academic, poet, politician, and human rights activist. She became known worldwide for her efforts in Palestinian-Israeli negotiation toward peace. Someone forwarded me an image of a Syrian girl shot in the eye and that is what triggered me to post this poem which I had read in an anthology of poems from the middle east titled ‘the flag of childhood’. This is a touching, tender poem replete with moments of artless innocence that shows the empathetic and mature mindset of a four-year-old child shot in the eye. This is a fantastic poem. It touched me immensely. Goodness! Behind that innocent looking words, the poet has packed pathos and ugliness of warfare. Can I use this poem for my blog, a translation of world's best poetry into Telugu and vice versa. Here is the post with due credits. You may kindly advise me if there are any errors of omission and commission in my blog.